One of our customers had this to say: “If this is your first visit to Vietnam take a guide with you. The help you get is invaluable and chances are he’ll save you money when it comes to bartering when you go shopping as well as helping you to get to know the people. Vietnam is a different world, it’s a beautiful country filled with the happiest friendliest most helpful people I have ever come across but it’s different, different in a pleasant way and you’ll need help coping with that difference. 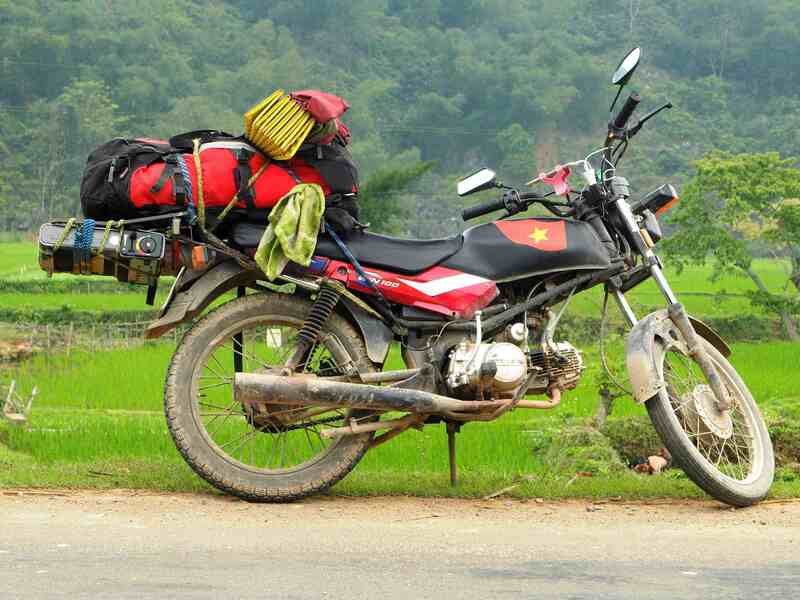 Tour guide rental for your two-wheel tours in Vietnam adds more value to the whole experience. In this page, we will go into details to help you decide whether you need him or not. The guide rides with a group of no more than 6 riders to guarantee maximum personal attention and safety of riders. Without him, you can only experience 50% of what you could be able to see. Get local experience, ride where you can’t find on your own. With years on bikes, your guide knows all secret roads and remote areas away from the tourist trails. Stay with local host families in their villages. Many home stays were not made for tourists, therefore they don’t need any promotion. In other words, that’s just a seasonal business they offer. You can’t just find them on your own. There is no language barrier. While you are on our tours, your guide helps with translation. Therefore, you fully understand what locals say or speak. You won’t have to worry about staring eyes. Our guides have friends or relations everywhere. Believe it or not, foreigners riding in remote areas look like spies to local authorities and they don’t like this. Leave all bike works with us. Your guide takes care of them and does service or maintenance if needed. He will ride the same type of bike like you. In case any problem occurs, he will change it for you. Without a guide, local mechanics will try to charge you much more. Even worse, some dishonest repair shops find a way to cheat you about parts and prices. This already happened on many self-guided trips. Finally, you don’t worry about a rip-off. Your guide helps with negotiating local prices. You have options and know how much to pay before you buy or order anything. There is almost no chance of getting lost. Our guides know Vietnam as good as the back of their hands. You can avoid danger from Vietnamese crowded and scary traffic. Our guides lead the groups and warn you of any dangers with his body language. You will be in safe hands throughout your trips. While riding, they make sure that you won’t ride off piste as in the below picture. That’s it, straight forward explanation and hopefully, you could make your decision easier. In case you need more information of Tour Guide Rental please contact us. What do you think of Motorbike Tour Guide?